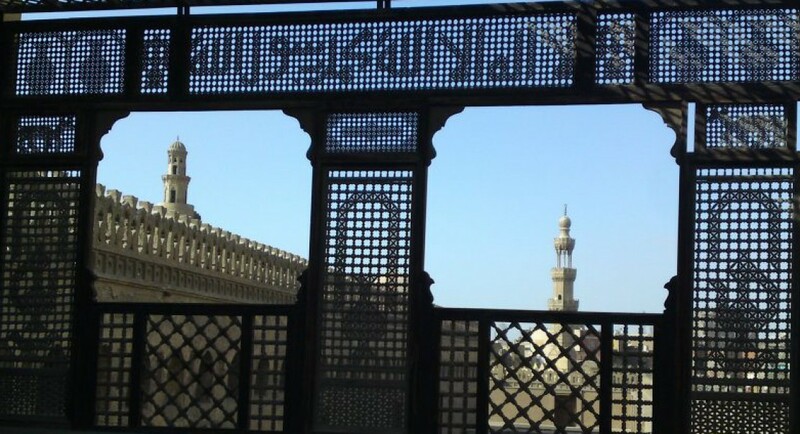 Abdel Hady Muhammad | A technical blog where I can share some of the hard learned lessons that I couldn't find easily elsewhere. Do you want your users to upload large files? .. I mean real large files, like multiple GB video .. Do your users live in places with a bad or unstable connection? .. If your answer is “yes”, then this article is exactly what you are looking for. At Chaino Social Network, we do care about our users, their feedback is our daily fuel, and a smooth enhanced UX is what we seek in everything we do for them. They asked for a video uploads feature, we made it for them .. they asked for a smaller processing time, we made it too .. they asked to upload a larger video files (up to 1 GB), again we made our precautions and increased the size to 1 GB .. but then we felt like hitting a wall, when we were swarmed by users’ feedback complaining that video uploads is easily interrupted by the bad networking, and the problem gets worse and worse when the files gets bigger and bigger where it becomes more vulnerable to interruptions and failures .. that is when we started our hunt for a solution. but let’s first see the current way of uploading. As you can see, both client & server sides expect the file to be sent in one shot no matter how big it is, but in the real world, networks get interrupted all the time, which forces the user to upload the file over & over again from the beginning! , which is super frustrating with large files like videos! In our hunt for a solution, At first we found some honorable mentions like Resumable.js, they didn’t really introduce a complete solution because most of these solutions focus only on the client side, where the server side is actually the real challenge! but then we found the only real complete solution out there Tus.io which was beyond our dreams! Protect our users from network interruptions, where the solution should be able to automatically retry sending the file until network is hopefully stable again. Gives our users a resumable upload in case of total network failures; so after the network comes back, users can continue uploading the file again where they left off. Tus is being adopted & trusted by many products now like Vimeo. I tried this combination locally & everything worked like a charm. But then we deployed the solution to our Beta servers, and this is when the panic begins🙈. * all users on the production server. Yet, still not working, it turns out that our production environment setup doesn’t allow PATCH requests, and this is where tus-js-client came to the rescue with its option overridePatchMethod: true which depends on usual POST requests instead. Re-Uploading starts from 0% !! Now, everything works fine. On my local machine uploads was lightening fast, so I couldn’t actually test the resumability part of our solution, so let’s try it on the beta, let’s cancel the upload at 40% and try to re-upload it again .. Oh Ooh, it started from 0%, What the heck just happened! Before Tus I always thought that uploading files has only one traditional way, and no one can touch it, to the extent that I felt that it is pointless even searching for a solution, but never stop at your own boundaries, break them & go beyond, and you will reach new destinations you never thought possible. Now, uploading large files became dead simple, & I really want to thank the team behind Tus.io for what they did. Using Google Analytics for tracking your users’ behavior is almost like using Air for breathing, then it comes its Custom Campaigns feature that will help you identify which of your marketing methods are more effective, or which campaigns emails gives you the better traffic, and so on. But, how could I append the custom campaign url parameters to all my emails at once? .. Or what if I want to know which of my transactional emails (notifications, invitations … ) is better in retaining users, how could I append a parameter containing email template’s name to all links in the email? & how to do it in a smart way? Just go through every single link in your email templates & append your campaign parameters or template’s name referral. Not only this will cost you time & effort, but also you will bang your head against the wall when you try to change it later! Be lazy & use Regex to process the final email’s html (just before sending) & append whatever you like to all the links in it. You can use the one from this answer, or even this one, or even come up with your own super enhanced regex to do the job, it is up to you. Why Answer #3 is the recommended one? Using a regex to parse only the links from the html’s string, seems a lot faster than parsing the whole dom elements, but does speed difference really matters when regex could give you incorrect results?! .. are you really willing to sacrifice speed for correctness? I don’t really think so! .. In this, I’ll go with Gary Pendergast‘s opinion that we shouldn’t use Regex, but we should use the Dom parsing libraries which are well tested in terms of speed & correctness. Hope you have found what you were looking for 🙂 , & thx for sharing it with more people who may need it too. Releasing your first App is a great milestone, but with releasing the second one, here comes the question: Should I use the same key to sign my new app, or should I generate a new key for it?!! Why using same key for different apps? Android allows apps signed by the same certificate to run in the same process, if the applications so requests, so that the system treats them as a single application. In this way you can deploy your app in modules, and users can update each of the modules independently. Android provides signature-based permissions enforcement, so that an app can expose functionality to another app that is signed with a specified certificate. By signing multiple apps with the same certificate and using signature-based permissions checks, your apps can share code and data in a secure manner. If you want to avoid the hassle of managing different keys for different apps. Why using different keys for different apps? If you are somehow paranoid about security (and you should), not to put all the eggs in one basket, which is highly recommended in this article. When the apps are completely different & won’t ever use the app-modularity or Code/Data sharing described above. When there is a chance (even a small one) that you will sell one of the apps separately in the future, then that app must have its own key from the beginning. As per this article, they made a study on August 2014, they found that Google Play has about 246,000 Android apps but only 11,681 certificates were found! The distribution of the number of apps sharing the same key is shown below. 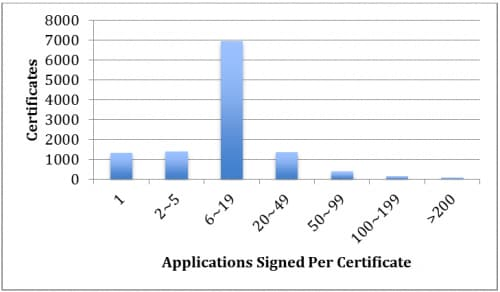 The X-axis is the number of apps sharing the same certificate. The Y-axis is the number of certificates. Be aware that once you signed your app and uploaded it to Google Play, you can’t undo this step, you can’t sign it with a different certificate key. so make your decision wisely! I had a situation where I wanted to query a collection in the production environment for a specific day, but the surprise for me was that the collection has no CreatedAt field in it in the first place :), so I had to rely on the ObjectId of the document. Searching around for a while I found this answer by kate, so I wanted to share it with all of you, & even shared it as an answer on another StackOverflow question. Photos are cached, so no need to load them every time you open the app. They first show a very small thumbnail (about 10KB or less) until the real image is loaded, & this is the real pro-tip for their better UX. Photos sizes range around 100KB, which loads the images pretty fast on most common mobile-network speeds. First 2 points are already discussed in part 1, so question here in part 2 is how could we compress images to be about 100KB to be sent easily over common mobile-networks. Zingoo is a new promising app that will rock your weekends, outings and any happening that you want to easily enjoy watching its moments over & over again (we are now doing the Android version, then the iOS one). Because we want Zingoo to be born strong, it has to deliver the best possible [UX] to all awesome-moments lovers around the world, which means we have to do our best in loading the images. Photos are cached, so no need to load them every time you open the app (almost no need to mention this 🙂 ). To achieve the caching there are some good Android libraries out there that are doing a good job, but one of them is doing a way better than the others, which is Picasso. Both caching on disk & on memory are built under the hood, with a very developer-friendly API, I just love what Jake Wharton & his mates did for all of us, thanks guys. We used the Callback() functionality to start loading the full image after the thumbnail is completely loaded, with using the blurred thumbnail’s drawable as the new placeholder for the real image, & this is how the magic is being done right here :). Also the blurring made here is Blur.fastblur(), thanks to Michael Evans & his EtsyBlurExample example, you can find this class here. The only remaining part is how to compress the large images (which could be 2 to 4 MB) to be only about 100 KB, which is discussed in Part 2.